Heaslip continued her impressive form on the roads, while Healy ran superb times at the Ton le Gaoithe Wind Sprints Meet. 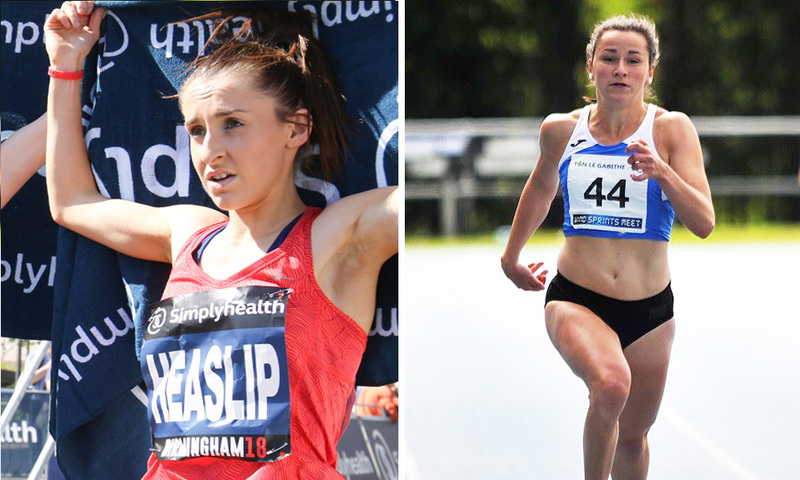 Irish 10k and cross-country champion Shona Heaslip produced the road performance of the weekend when she finished a close second at the Great Birmingham 10km on Sunday (May 6). The An Riocht AC athlete’s time of 34:19 knocked over half a minute off her 10k road debut time of 34:52 and saw her finish five seconds behind Aleksandra Lisowska from Poland who clocked a time of 34:14 for victory. Heaslip only ran her first competitive 10k road race at last month’s Great Ireland Run where she was crowned the Irish national champion. 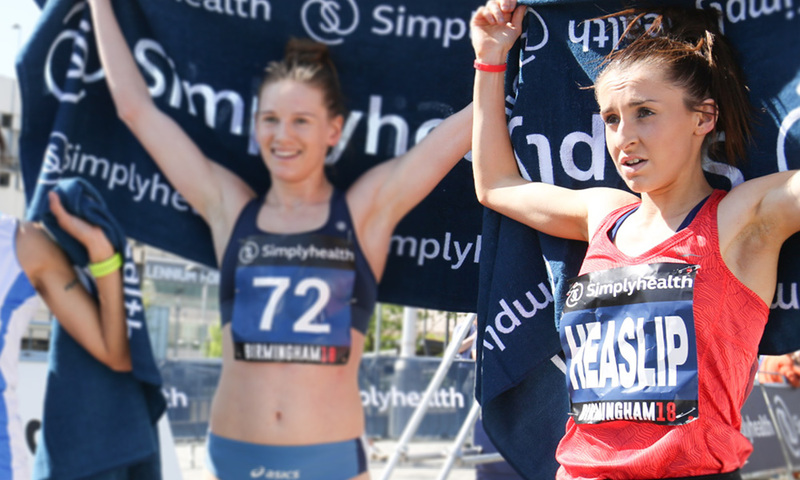 In a closely fought race, the Italian 10km champion Fatna Maraqui was third in 34:26 and Lucy Crookes of Leeds City AC fourth in 34.50. Best of the Irish men was James Doran of An Riocht who was 14th in 32:49. 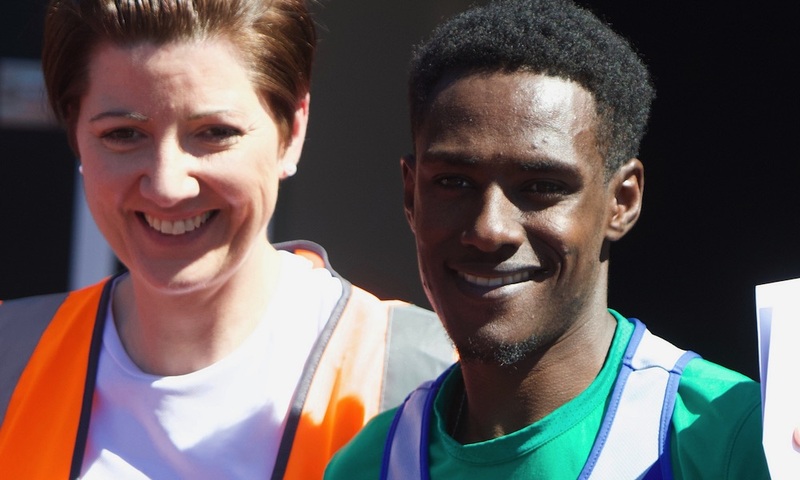 In the Leinster area, Hiko Tonusa of Dundrum South Dublin and Ciara Hickey of Brothers Pearse were the winners of the Tallaght 5km held on Sunday morning (May 6). The race was the third round of the KIA Series and also the Dublin Novice Championships. In hot sunny conditions, Tonosa, who had won the previous two races in the KIA Series, finished in 14:34 despite having raced on the track at Greystones a day earlier. Valdas Dopolskas, the Lithuanian Olympian marathoner that recently transferred to Clonliffe Harriers, was second in 14:51 and Eric Keogh of Donore Harriers third in 14:54. Previous winner Tomas Fitzpatrick of host club Tallaght AC was fourth in 15:09. Tonusa, who lives in the city, was also named the Dublin novice champion in possibly the fastest time ever for a novice athlete. Ciara Hickey, making a steady comeback after a break from the sport, finished in a solid time of 16:52. 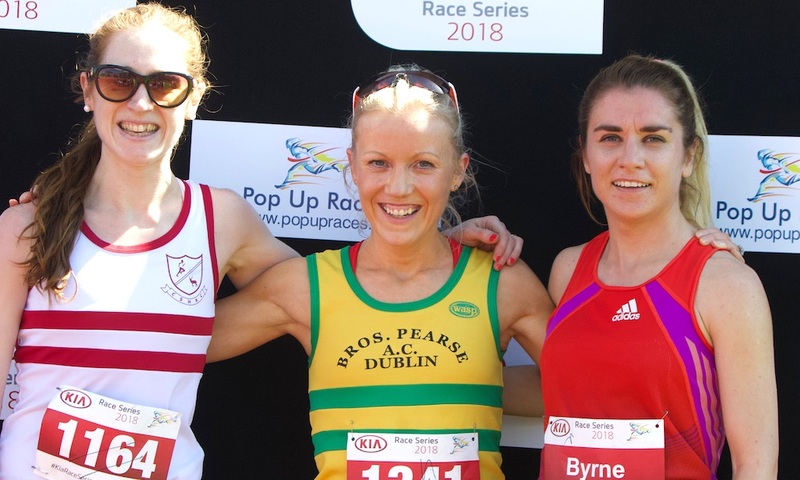 Ashley Pia Ryan of Civil Service Harriers, winner of novice and inter Dublin cross-country races over the winter, was second in 17: 24 and Linda Byrne of DSD third in 17:35. Full result can be found here. Leading home almost 1,500 finishers at the Drogheda 10km on Sunday afternoon (May 6) was Darragh Green of Dunleer AC who finished in 32:56. Second was his Dunleer clubmate Tomas Cotter in 33:31. while third was Simon Ryan of Boyne AC in 33.56. The first woman was Ruth Fitzgerald of Trinity Track Racers in 37:53. Michelle Cox of Newbridge was second in 38:24 and Karen Costello of Dunleer AC third in 39:05. North East Runners beat Drogheda and District for the men’s team title, while Drogheda and District proved best of the women’s teams, finishing comfortably clear of Portmarnock AC. Results can be found here. 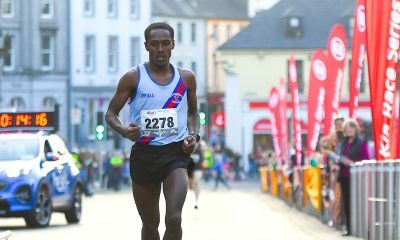 In Limerick, Peter Somba of Dunboyne AC and Claire McCarthy of Leevale were the winners of the Great Limerick Run half marathon on Sunday (May 6). Somba, who finished in 68:59, was followed home by Alan O’Brien in 69:18 and Kenneth Rodgers in 69.58. McCarthy finished 12th overall in 77:22 with Sorcha Kearney second woman in 84:40. In the 6-mile race, John Travers of Donore Harriers just held off Kevin Maunsell of Clonmel AC to win in 29:40. Maunsell was given a time of 29:43, while Jake O’Regan of St John’s AC was third in 31:38. Siobhan O’Doherty of Borrisokane was first woman in 35:33. Donore sisters Ide and Sorcha Nic Dhomhnaill were second and third in 36:37 and 37:16 respectively. Peter Mooney won the marathon race in 2:29:22; first woman was Grace Kennedy in 3:09:01. Full results here. A visit to the Irish Miler Club’s Greystones Meet in Co Wicklow on Saturday (May 5) proved worthwhile for Lewis Moses of Darlington Harriers when he won the 5000m race in 14:02.88. Kilmore’s Fiona Kehoe won the women’s A 1500m in 4:26.19, beating Maisie O’Sullivan of St Abban’s 4:27.34 and Jodie McCann of DSD who finished in 4: 29.50. McCann’s brother Luke, also DSD, won a competitive men’s A 1500m in 3:48.15, holding off Conor Duncan of Ratoath second in 3:48.35, Brian Fay of Raheny third in 3:48.87 and Darragh McElhinney of Bantry AC fourth in 3:49.45. There was also the notable performance by Longford AC’s U17 athlete Cian McPhilip who clocked 3:49.85 to finish fifth. Over 800m, Jo Keane of Ennis TC came out on top in another closely contested women’s race finishing in 2:09.59. Nadia Power of Templeogue was second in 2:09.80 and Alex O’Neill of St Cronan’s third in 2:10.80. Winning the men’s A 800m race in some style was Conall Hayes of Le Cheile AC in 1:51.77. Full results can be found here. Phil Healy of Bandon AC proved the star of the day at the Ton le Gaoithe Wind Sprints Meet in Waterford on Saturday (May 5), clocking times of 11.24 secs (+2.5) and 11.16 secs (+3.0) for the 100m. In the opening race, Healy’s sister Joan finished second in 11.62 secs and Sarah Murray of Fingallians AC third in 11.70 secs. In the second race, Joan was second in 11.62 secs and Niamh Whelan of Ferrybank AC third in 11.64 secs. Both of Phil Healy’s times were inside the Irish record of 11.40 secs but won’t count because of the strong following wind. Still, Healy displaces Anna Boyle on the all-time wind-assisted time list; Boyle ran 11.30 secs helped by a +4.2 wind. Healy also proved fastest over 200m winning in 23.04 secs (+3.9), with sister Joan second in 23.74 secs. “Nice to have fun again over the shorter distance,” she tweeted afterwards. Winning the men’s A 100m is 10.59 secs (+2.8) was Joseph Ojewumi of Tallaght AC. Leo Morgan of Clonliffe Harriers was second in 10.74 secs and Mark Smyth of Raheny Shamrock third in 10.77 secs. Israel Olatunde of Dundealgan AC, who earlier in the week had won a thrilling North Leinster Schools 100m at Santry, clocked 10.74 secs (+2.7) to win the B 100m – well under the European U18 Championships standard of 10.90 secs. Ojewumi also won the second A 100m, clocking 10.53 secs with the benefit of a +3.9 wind. Cillin Green of Galway City Harriers was second in 10.65 secs, and Leo Morgan third in 10.73 secs. Green won the A 200m in 21.78 secs (+3.8). Matthew Behan of Crusaders continues to make steady progress in the high hurdles and his time of 13.91 secs (+2.1) was not far off the 13.85 secs he needs to make the European Championships next August in Berlin. It won him the Athlete of the Meet award, presented by Phil Healy. A frantic chase off the last hurdle saw four women breaking 14 seconds in the 100m hurdles; no wind speed time was given. 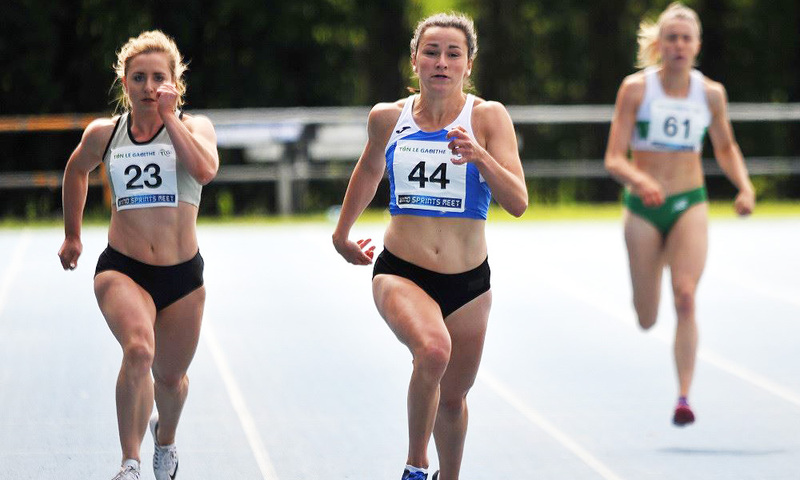 Sarah Lavin of UCD was first in 13.59 secs, followed by Dooneen’s Lily Ann O’Hora in 13.67 secs, Elizabeth Morland of Cushinstown AC third in 13.74 secs and Molly Scott of St LO’T AC fourth in 13.96 secs – a second time inside the 14.10 secs B standard for the World Junior Championships. In the second race (wind +1.7), Lavin was again the winner this time in 13.62 secs, with O’Hora second in 13.69 secs and Scott third in 14.03 secs. Chasing a 400m qualifying time of 55 secs for the World Juniors was Ciara Deely from Kilkenny City Harriers. She won the women’s 400m in 55.14 secs beating old rival Sophie Becker of St Joseph’s who finished in 55.80 secs. David McDonald of Menapians won the men’s 400 in 49.63 secs. Second was Eoghan Buggy of St Abban’s in 49.89 secs. Winning the women’s javelin with a throw of 42.15m was Grace Casey of Eire Og Chorra Cill AC. Best of the men was Stephen Rise of Clonliffe Harriers with 64.71m. James Trainor of North Belfast Harriers and Jessica Craig of North Down recorded the fastest times at the NI Running Mile held on Friday evening (May 4) at the Mary Peters track in Belfast. In the men’s elite mile, Trainor clocked 4:35.79, with Glen Taylor of Ballydrain Harriers second in 4:36.67 and Darrell McKee of Acorns AC third in 4:38.56. Craig proved the class of the field in the women’s race, finished just outside the five-minute barrier with a time of 5:00.10. Laura Bickerstaff of Dromore with 5:10.78 and Catherine Diver with 5:16.67 recorded the next fastest times of the night. Over 200 athletes lined out in the series of races. 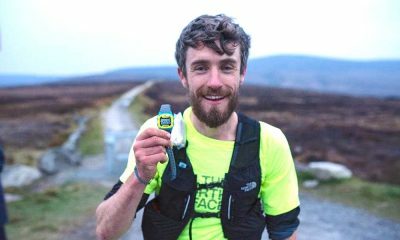 Seamus Lynch of Newcastle AC and Martsje Hell of North Belfast Harriers were the winners at the Annalong Horseshoe 13.1 mile mountain race in the Mournes on Saturday (May 5). Seamus Lynch (@NewcastleAC) and Martsje Hell (@nbharriers) win Annalong Horseshoe Mountain Race! Lynch came home first in 2:06:09; Jonny Steede of Glen Runners was second in 2:08.07 and Timothy Johnston of Mourne Runners third in 2:12:59. Hell finished first woman in 2:50:22 after early leader Esther Dickson of Newry AC strayed off course. Dickson recovered to finished third behind Gillian Wasson of Ballymena Runners. 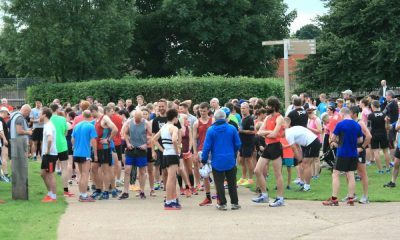 On Wednesday night (May 2) at the Pat Finnerty Memorial 5km in Mullingar Emma Mitchell of Queen’s University AC was the first woman and fourth overall in an eye-catching time of 16:23. 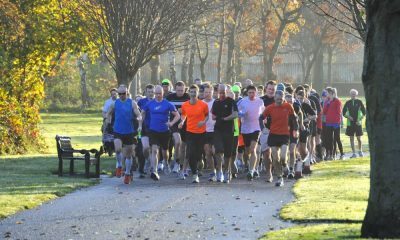 A big THANK YOU to everybody who took part in our Pat Finnerty Memorial 5K on Wednesday night. A runaway winner of the race was Peter Somba of Dunboyne AC, with his time of 14:56 putting him almost a minute ahead of Shane Healy, MSB ‘s veteran Olympian, who clocked 15:50. Third was Mick Fogarty of Ferbane AC in 16:07. The second woman in 18:12 was Aine O’Reilly of host club Mullingar Harriers.